Jurassic Park didn't exactly tone down its violence and make its dino-stars seem like friendly petting zoo fodder, but that didn't stop a part of me from fantasizing about one day riding a velociraptor like a mighty stallion. 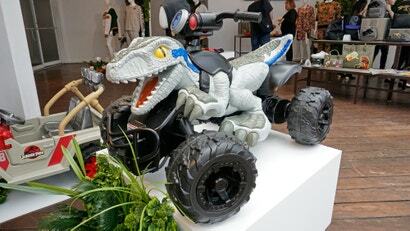 A fantasy that, thanks to Fisher-Price, can now be a reality for kids with this Power Wheels Dino Racer. While I am not the biggest fan of the live-action Transformers movies, I do appreciate the "realistic" robot and vehicle designs the series has spawned. 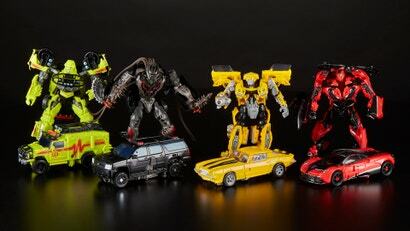 Revealed today at Toy Fair 2018, the Studio Series celebrates those designs with intricate figures packaged with movie backdrops. I might need them. LEGO returns to J.K. Rowling's Wizarding World later this year, with new sets based on the Harry Potter and Fantastic Beasts series. 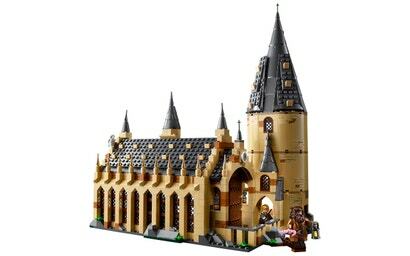 These include the LEGO Harry Potter Hogwarts Great Hall, a $US99 ($124) set featuring 10 minifigures, two buildable creatures, and a ridiculous amount of detail.